Recently, Amazon brought a plethora of products to its Echo line of devices. Echo input was one among them and it was announced that it will be going on sale in early 2019. Well, it is finally available for purchase at a cost of Rs 2,999. The device provides Alexa support to your existing speakers with the help of a wire or via Bluetooth connection. Apart from Amazon, the Echo Input is also available in offline retailers like Croma and Vijay Sales. Once connected via wire or Bluetooth, the device helps you to stream music from Amazon Prime Music, Hungama, Gaana and other services of the same genre. It has also been announced that Amazon has collaborated with some speaker manufacturers to provide other gadgets with its Echo Input. The JBL Go 2 speaker package can be bought at a discount of Rs 1,499. One the other hand, if you buy the Echo Input bundle, you will get it for free. The product is packaged with the brand new Ultimate Ears Boom 3 or the Bose SoundLink Revolve. Coming to the specifications, the Echo Input is 12.5mm thick and looks similar to a hockey puck. 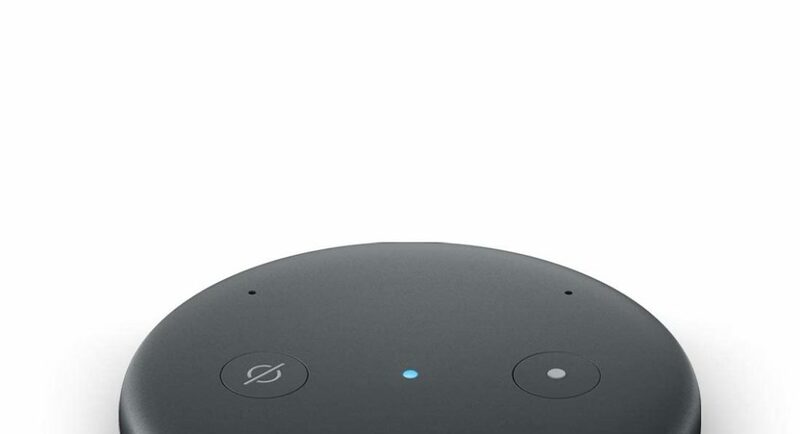 There are two buttons on top that can be used to switch the microphone on or off and to trigger Alexa. There is a four-way microphone that is claimed to recognise your voice across a room, even with the music on. There is a single LED light present on top and connectivity options include 3.5mm headphone socket, Micro-USB port, dual band 802.11 Wi-Fiac. In order to set up the Echo Input you need to download the Alexa app which is available for both Android and iOS. The Echo Input has a 5W power adapter, Micro-USB cable, auxiliary cable and a quick start guide. As mentioned, the Amazon Echo Input can be bought in a bundle at free of cost along with Ultimate Ear Boom 3. Also in a bundle, we are getting the JBL Go 2 speaker, which is water resistant. The speaker is made of plastic but has a rubber coating that helps prevent damage, even if kept under water up to 1m until 30 minutes.